Whenever I join a team, I always ask my boss what their preferred method of communication is. Do they prefer emails so they can respond when they have time? Do they prefer calls so their email isn’t bogged down? Or are they part of the few individuals that don’t mind people popping in and out of their office? I find that asking this question allows me to streamline our communications, providing better, effective communication between us and minimizing any miscommunications. No matter the method, one thing must remain consistent – you must be able to articulate your message well. In order to communicate effectively in the workplace, be sure that your conversations are rooted in fact and reasoning. Not only should your team know what you are communicating but why you are communicating this message and what the end result of this communication is. Popular methods of effective communication can be broken down into three categories: credible communication, fact and data-driven communication, and expressive or passionate communication. Credible communication relies on the speakers ability to be seen as a credible resource. Credibility creates trusting relationships where coworkers know they can rely on you and your insight. Credibility is critical when proposing changes, initiatives or suggesting a new course of action. To be credible, highlight your achievements and how they pertain to your role, project or company. Share your knowledge and be a resource to those around you, and most importantly, be decisive – take action and be sure to follow through. When looking to communicate using this style, focus on your pertinent experience and provide recommendations based on those relevant experiences. While it is important to solidify yourself as an expert in your field, it is also important to remain on point and not to talk excessively about your past experiences or knowledge as it will detract from the conversation at hand. Fact- and data-based communications should express correlations, analytics, relationships and causation. These communications should focus on creating persuasive narratives while focusing on the data and creating problem-solving and strategy opportunities. When communicating using facts or data, it is fundamental that you provide examples as this will support your suggestions and help to determine next steps. Providing examples also allows for feedback and collaboration. Using data-driven communications can be overwhelming if too much data is presented at once. As such, be sure to keep the conversations concise so communications remain clear and allow the audience to focus on what needs to occur next. Expressive and passionate communication should focus on genuine beliefs, opinions and ideas. Passionate communication should express sincere views and should be presented positively. If challenges occur, position yourself and others to express these challenges while remaining positive and make sure to end the communication with a positive note. When using expressive and passionate communication, take into consideration that you are expressing your views or opinions and others may not feel the same. As such, be respectful of how you express your views and allow other to express their own opinions, even if they differ from your own. 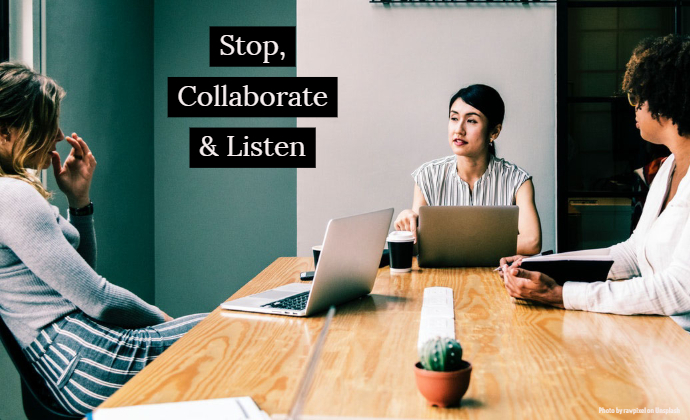 This communication style works best when looking to discuss problem-solving ideas or when there is an open environment where feedback and discussion is recommended and appreciated. Communication is vital to everyday life. Next time you communicate, consider these communication categories and see which method may work best with the message you need to convey. When appropriate, try to use a few styles together to make a bigger impact with the message you are sharing. And, remember, when in doubt, keep your communication clear and concise, supported by reasoning and express an understood purpose.